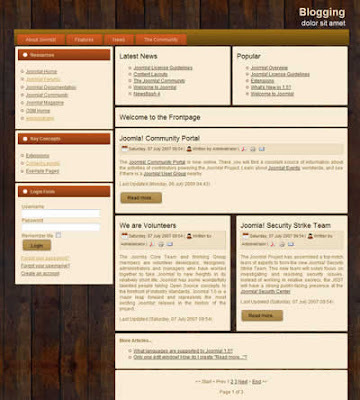 Nice two column free Joomla 1.5 template with wooden background available for download. 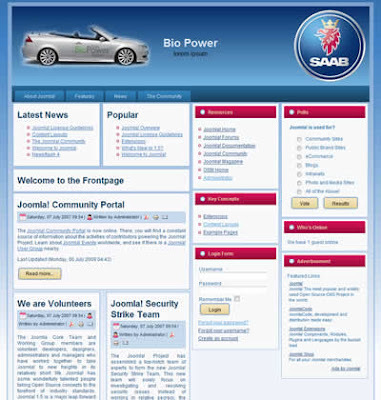 This free Joomla template has sidebar on the left and main content placed in the right column. Template has 22 modules positions and can be used for blog or for business website. Nice three column free business Joomla 1.5 website template with tabbed navigation bar on the top. 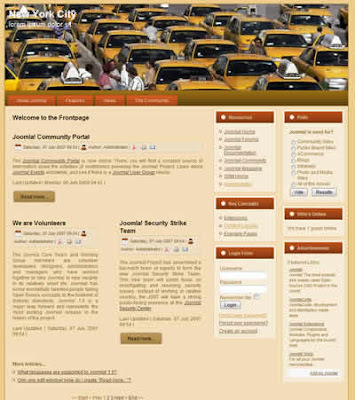 This free Joomla template has main content on the left and two right sidebars. It has 22 modules positions. 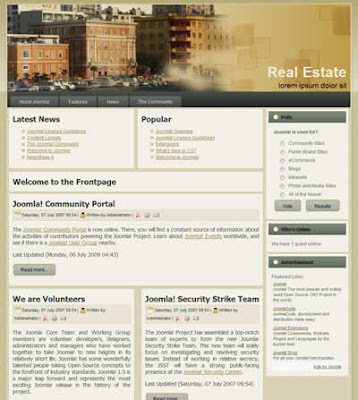 Free two columns real estate Joomla 1.5 template ready for download. 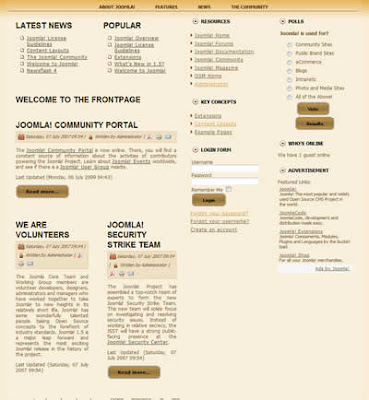 This free Joomla template has sidebar in the right column, main content is on the left. Template can be used for real estate website, but can be easily modified for any other web project. Free business Joomla 1.5 website template with wooden background available for download. 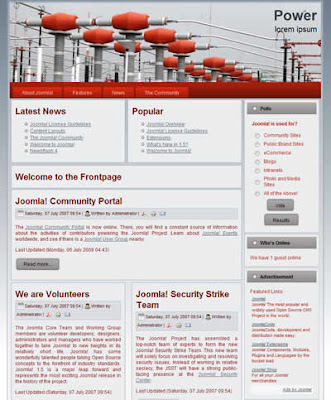 This is three column Joomla 1.5 template with 22 module positions. 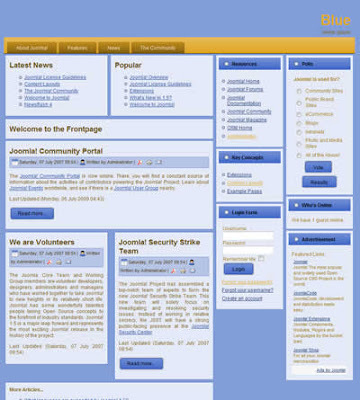 Main content is placed in the left column and sidebars are on the right. This free Joomla template can be used for business website or blog. Simple and nice three column business Joomla 1.5 template available for free download. This free joomla 1.5 template has blue tabbed navigation bar, main conteny in the left column and beautiful red, white and blue color scheme. This free template can be used as a business website or as a blog. Three column Joomla 1.5 business template available for download. 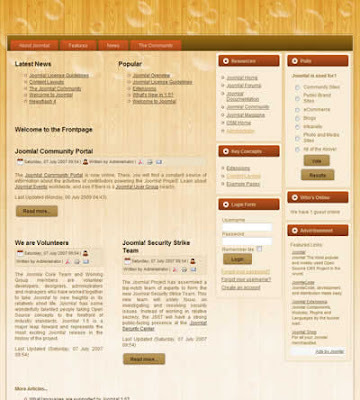 This free Joomla template has main content in the left column and two sidebars are on the right. This free template can be used for a car dealer website but it also can be used for automotive blog. 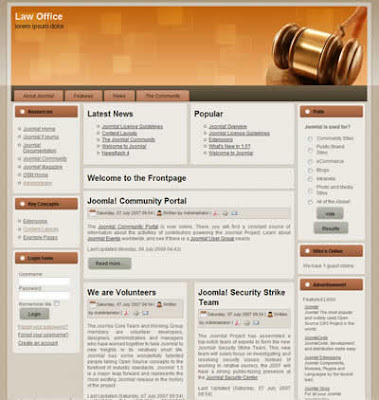 Free three column Joomla 1.5 template with slightly rounded corners for law office ready for download. 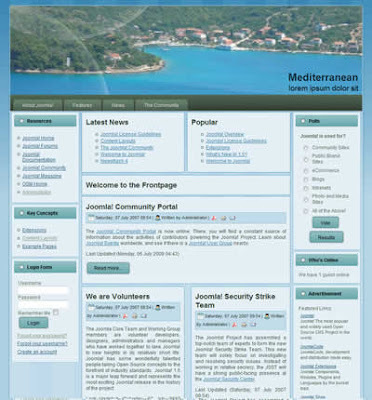 This free Joomla 1.5 template has main content in centre column and sidebars left and right. 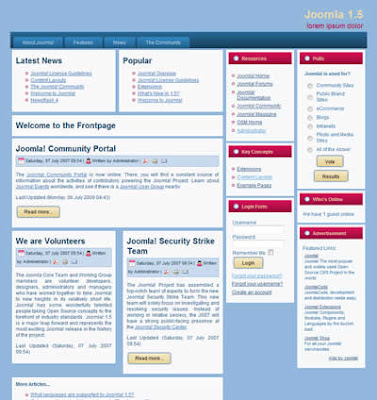 Joomla 1.5 template with blue gradient background available for download. 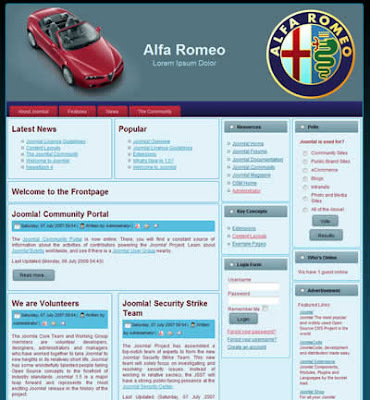 This free three column Joomla template has nice blue, red and golden color scheme. Template can be used for blog or as a business website, for example as a transportation company website or for a car dealer website. Very nice two column business Joomla 1.5 website template available for download. This free Joomla template has two columns with sidebar on the right, header, tabbed navigation bar and footer. Three column business joomla 1.5 template with 22 available module positions ready for download. This free template has navigation bar on the top, three column and footer. It can be used for blog or for a business website. Nice three column joomla template with slightly rounded corners and stripped background available for download. Wide column with main content is in the centre column and sidebars are left and right. This free joomla template can be used for real estate business website or travel portal, but it can also be used for any website project. Nice three column Joomla 1.5 template with slightly rounded corners and tabbed navigation bar that floats to the right. 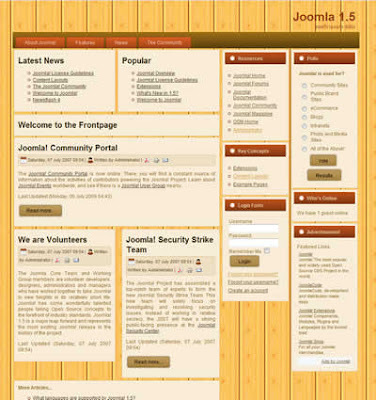 This free Joomla 1.5 template has main content column on the left side and two sidebars on the right. 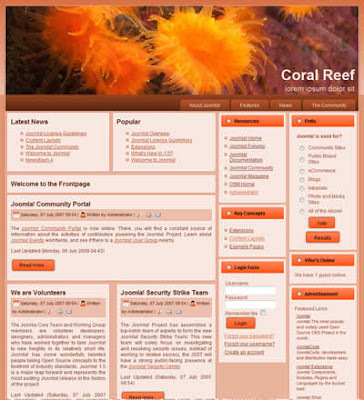 There is an image of coral in the header. Beautiful three column joomla business website template available for download. This free business template has main content in left column and 2 sidebars are on the right. Horizontal tabbed navigation bar is on the top. 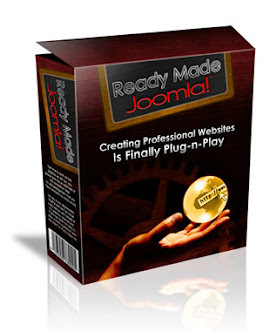 Another free Joomla 1.5 business website template available for download. Template has yellow background, tabbed horizontal navigation bar and three columns.